Lincoln's origins can be traced back to the Iron Age, but more noticeably the time of the Romans, with evidence of their tenure still apparent to this day with places such as Newport Arch (a still intact 3rd Century Roman gate) peppering the city. 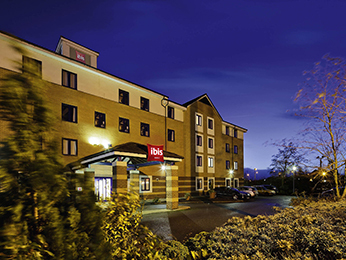 Make the most of your visit by taking your pick from our selection of hotels in Lincoln below. The Lincoln Minster Cathedral features a spire taller than the Great Pyramids of Egypt, which at the time would have made it the tallest man-made structure in the world. Lincoln Castle, built in the 11th Century by William the Conqueror, serves as a remarkably well preserved example of a structure from that period. The castle is open as a museum and its walls are still entirely open for guests to walk around, offering a 360 degree view of the city. Other attractions include the aptly named Steep Hill and Bransby Horses centre. Lincoln is easily accessible by rail from Lincoln Central station, or by road via the A46. Booking a hotel in Lincoln couldn't be easier. Simply browse our selection of hotels below and choose one that best suits your needs. Booking online with AccorHotels offers a host of benefits, including our Best Price Guarantee and last minute and real-time room availability.